Brian Peter George St. John le Baptiste de la Salle Eno,  is an English musician, composer, record producer, singer, and visual artist, known as one of the principal innovators of ambient music. Eno was a student of Roy Ascott on his Groundcourse at Ipswich Civic College. He then studied at Colchester Institute art school in Essex, England, taking inspiration from minimalist painting. During his time on the art course at the Institute, he also gained experience in playing and making music through teaching sessions held in the adjacent music school. He joined the band Roxy Music as synthesiser player in the early 1970s. Roxy Music's success in the glam rock scene came quickly, but Eno soon became tired of touring and of conflicts with lead singer Bryan Ferry. Eno's solo music has explored more experimental musical styles and ambient music. It has also been immensely influential, pioneering ambient and generative music, innovating production techniques, and emphasising "theory over practice". He also introduced the concept of chance music to popular audiences, partially through collaborations with other musicians. Eno has also worked as an influential music and album producer. By the end of the 1970s, Eno had worked with Robert Fripp on the LPs No Pussyfooting and Evening Star, David Bowie on the seminal "Berlin Trilogy" and helped popularise the American band Devo and the punk-influenced "No Wave" genre. He produced and performed on three albums by Talking Heads, including Remain in Light (1980), and produced seven albums for U2, including The Joshua Tree (1987). Eno has also worked on records by James, Laurie Anderson, Coldplay, Paul Simon, Grace Jones, James Blake and Slowdive, among others. Eno pursues multimedia ventures in parallel to his music career, including art installations, a regular column on society and innovation in Prospect magazine, and "Oblique Strategies" (written with Peter Schmidt), a deck of cards in which cryptic remarks or random insights are intended to resolve dilemmas. Eno continues to collaborate with other musicians, produce records, release his own music, and write. Brian Eno was born in 1948 at Phyllis Memorial Hospital, Woodbridge, Suffolk, and was educated at St Joseph's College, Ipswich, which was founded by the St John le Baptiste de la Salle order of Catholic brothers (from whom he took part of his name when a student there), at Ipswich Art School in Roy Ascott's Groundcourse and the Winchester School of Art, graduating in 1969. At the Winchester School of Art, Eno attended a lecture by Pete Townshend of The Who about the use of tape machines by non-musicians, citing the lecture as the moment he realised he could make music even though he was not a musician at that point. In school, he used a tape recorder as a musical instrument and experimented with his first, sometimes improvisational, bands. St. Joseph's College teacher and painter Tom Phillips encouraged him, recalling "Piano Tennis" with Eno, in which, after collecting pianos, they stripped and aligned them in a hall, striking them with tennis balls. From that collaboration, he became involved in Cornelius Cardew's Scratch Orchestra. The first released recording in which Eno played is the Deutsche Grammophon edition of Cardew's The Great Learning (rec. Feb. 1971), as one of the voices in the recital of The Great Learning Paragraph 7. Another early recording was the Berlin Horse soundtrack, by Malcom Le Grice, a nine-minute, 2 × 16 mm-double-projection, released in 1970 and presented in 1971. 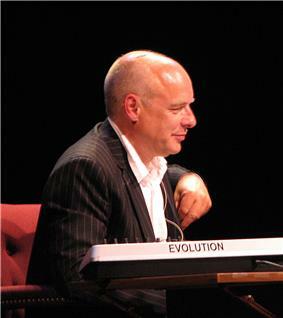 Brian Eno's professional music career began in London, as a member (1971–1973) of the glam/art rock band Roxy Music, initially not appearing on stage with them at live shows, but operating the mixing desk, processing the band's sound with a VCS3 synthesiser and tape recorders, and singing backing vocals. He then progressed to appearing on stage as a performing member of the group, usually flamboyantly costumed. He quit the band on completing the promotion tour for the band's second album, For Your Pleasure because of disagreements with lead singer Bryan Ferry and boredom with the rock star life. In 1992, he described his Roxy Music tenure as important to his career: "As a result of going into a subway station and meeting [saxophonist Andy Mackay], I joined Roxy Music, and, as a result of that, I have a career in music. If I'd walked ten yards further on the platform, or missed that train, or been in the next carriage, I probably would have been an art teacher now". During his period with Roxy Music, and for his first three solo albums, he was credited on these records only as 'Eno'. Eno embarked on a solo career almost immediately. Between 1973 and 1977 he created four albums of largely electronically inflected rock and pop songs – Here Come the Warm Jets, Taking Tiger Mountain (By Strategy), Another Green World and Before and After Science, with Phil Collins playing drums on some songs, and others in an ambient instrumental style. Tiger Mountain contains the galloping "Third Uncle", one of Eno's best-known songs, owing in part to its later being covered by Bauhaus. Critic Dave Thompson writes that the song is "a near punk attack of riffing guitars and clattering percussion, 'Third Uncle' could, in other hands, be a heavy metal anthem, albeit one whose lyrical content would tongue-tie the most slavish air guitarist." These four albums were remastered and reissued in 2004 by Virgin's Astralwerks label. Due to Eno's decision not to add any extra tracks of the original material, a handful of tracks originally issued as singles have not been reissued ("Seven Deadly Finns" and "The Lion Sleeps Tonight" were included on the deleted Eno Vocal Box set and the single mix of "King's Lead Hat" [the title of which is an anagram of "Talking Heads"] has never been reissued). During this period, Eno also played three dates with Phil Manzanera in the band 801, a "supergroup" that performed more or less mutated selections from albums by Eno, Manzanera, and Quiet Sun, as well as covers of songs by The Beatles and The Kinks. In 1972, Eno and Robert Fripp (from King Crimson) utilised a tape-delay system, described as 'Frippertronics', and the pair released an album in 1973 called (No Pussyfooting). The technique involved two Revox tape recorders set up side by side, with the tape unspooling from the first deck being carried over to the second deck to be spooled. This enabled sound recorded on the first deck to be played back by the second deck at a time delay that varied with the distance between the two decks and the speed of the tape (typically a few seconds). The technique was borrowed from minimalist composer Terry Riley, whose similar tape-delay feedback system with a pair of Revox tape recorders (a setup Riley used to call the "Time Lag Accumulator") was first used on Riley's album Music for The Gift in 1963. In 1975, Fripp and Eno released a second album, Evening Star, and played several live shows in Europe. Eno was a prominent member of the performance art-classical orchestra the Portsmouth Sinfonia – having started playing with them in 1972. In 1973 he produced the orchestra's first album The Portsmouth Sinfonia Plays the Popular Classics (released in March 1974) and in 1974 he produced the live album Hallellujah! The Portsmouth Sinfonia Live at the Royal Albert Hall of their infamous May 1974 concert (released in October 1974.) In addition to producing both albums, Eno performed in the orchestra on both recordings – playing the clarinet. Eno also deployed the orchestra's famously dissonant string section on his second solo album Taking Tiger Mountain (By Strategy). The orchestra at this time included other musicians whose solo work he would subsequently release on his Obscure label including Gavin Bryars and Michael Nyman. That year he also composed music for the album Lady June's Linguistic Leprosy, with Kevin Ayers, to accompany the poet June Campbell Cramer. Eno continued his career by producing a larger number of highly eclectic and increasingly ambient electronic and acoustic albums. He is widely credited with coining the term "ambient music", low-volume music designed to modify one's perception of a surrounding environment. His first such work, 1975's Discreet Music (again created via an elaborate tape-delay methodology, which Eno diagrammed on the back cover of the LP ), is considered the landmark album of the genre. This was followed by his Ambient series (Music for Airports (Ambient 1), The Plateaux of Mirror (Ambient 2), Day of Radiance (Ambient 3) and On Land (Ambient 4)). Eno was the primary musician on these releases with the exception of Ambient 2 which featured Harold Budd on keyboard, and Ambient 3 where the American composer Laraaji was the sole musician playing the zither and hammered dulcimer with Eno producing. In 1975 Eno performed as the Wolf in a rock version of Sergei Prokofiev's classic Peter and the Wolf. Produced by Robin Lumley and Jack Lancaster, the album featured Gary Moore, Manfred Mann, Phil Collins, Stephane Grapelli, Chris Spedding, Cozy Powell, Jon Hiseman, Bill Bruford and Alvin Lee. Also in 1975, Eno provided synthesisers and treatments on Quiet Sun's Mainstream album alongside Phil Manzanera, Charles Hayward, Dave Jarrett, and Bill MacCormick, and he performed on and contributed songs and vocals to Phil Manzanera's Diamond Head album. In September 1976 Eno recorded with the Krautrock/Kosmische Musik group Harmonia at their studio in Forst, Germany. This material was not released until 1997 as Tracks and Traces by Harmonia '76. It was again reissued in 2009 with additional tracks and credited to Harmonia & Eno '76. In 1980 Eno provided a film score for Herbert Vesely's Egon Schiele – Exzess und Bestrafung, also known as Egon Schiele – Excess and Punishment. The ambient-style score was an unusual choice for a historical piece, but it worked effectively with the film's themes of sexual obsession and death. In 1981, having returned from Ghana and before On Land, he discovered Miles Davis' 1974 track "He Loved Him Madly", a melancholy tribute to Duke Ellington influenced by both African music and Karlheinz Stockhausen: as Eno stated in the liner notes for On Land, "Teo Macero's revolutionary production on that piece seemed to me to have the "spacious" quality I was after, and like Federico Fellini's 1973 film Amarcord, it too became a touchstone to which I returned frequently." In 1980–1981, Eno collaborated with David Byrne of Talking Heads (which he had already anagrammatised as 'King's Lead Hat') on My Life in the Bush of Ghosts, which was built around radio broadcasts Eno collected while living in the United States, along with sampling recordings from around the world transposed over music predominantly inspired by African and Middle Eastern rhythms. In 1983 Eno collaborated with his brother, Roger Eno, and Daniel Lanois on the album "APOLLO: Atmospheres and Soundtracks". Many of the sounds created on this album can be heard again on later albums produced by both Eno and Lanois. In 1992, Eno released an album featuring heavily syncopated rhythms entitled Nerve Net, with contributions from several former collaborators including Robert Fripp, Benmont Tench, Robert Quine and John Paul Jones. This album was a last-minute substitution for My Squelchy Life, which featured more pop oriented material, with Eno on vocals. (Several tracks from My Squelchy Life later appeared on 1993's retrospective box set Eno Box II: Vocals.) Eno also released in 1992 a work entitled The Shutov Assembly, recorded between 1985 and 1990. This album embraces atonality and abandons most conventional concepts of modes, scales and pitch. Much of the music shifts gradually and without discernible focus, and is one of Eno's most varied ambient collections. Conventional instrumentation is eschewed, save for treated keyboards. During the 1990s, Eno became increasingly interested in self-generating musical systems, the results of which he called generative music. The basic premise of generative music is the blending of several independent musical tracks, of varying sounds, length, and in some cases, silence. When each individual track concludes, it starts again mixing with the other tracks allowing the listener to hear an almost infinite combination. In one instance of generative music, Eno calculated that it would take almost 10,000 years to hear the entire possibilities of one individual piece. Eno has presented this music in his own, and other artists', art and sound installations, most notably "I Dormienti (The Sleepers)", Lightness: Music for the Marble Palace, Music for Civic Recovery Centre, The Quiet Room and "Music for Prague". One of Eno's better-known collaborations was with the members of U2, Luciano Pavarotti and several other artists in a group called Passengers. They produced the 1995 album "Original Soundtracks 1". This album reached No. 76 on the US Billboard charts and No. 12 in the UK charts. It featured a single, "Miss Sarajevo", which was a top 10 hit in the UK (#6). This collaboration is chronicled in Eno's book "A Year with Swollen Appendices" a diary published in 1996. In 1996, Eno scored the six-part fantasy television series Neverwhere. In 2004, Fripp and Eno recorded another ambient collaboration album, The Equatorial Stars. Eno returned in June 2005 with Another Day on Earth, his first major album since Wrong Way Up (with John Cale) to prominently feature vocals (a trend continued with Everything That Happens Will Happen Today). The album differs from his 1970s solo work as musical production has changed since then, evident in its semi-electronic production. In early 2006, Eno collaborated with David Byrne, again, for the reissue of My Life in the Bush of Ghosts in celebration of the influential album's 25th anniversary. Eight previously unreleased tracks, recorded during the initial sessions in 1980/81, were added to the album, while one track, "Qu'ran", was removed in accordance with requests from an Islamic organisation in London. An unusual interactive marketing strategy coincided with its re-release, the album's promotional website features the ability for anyone to officially and legally download the multi-tracks of two songs from the album, "A Secret Life" and "Help Me Somebody". Individuals can then remix and upload new mixes of these tracks to the website so others can listen to and rate them. In late 2006, Eno released 77 Million Paintings, a program of generative video and music specifically for the PC. As its title suggests, there is a possible combination of 77 million paintings where the viewer will see different combinations of video slides prepared by Eno each time the program is launched. Likewise, the accompanying music is generated by the program so that it's almost certain the listener will never quite hear the same arrangement twice. The second edition of "77 Million Paintings" featuring improved morphing and a further two layers of sound was released on 14 January 2008. In June 2007, when commissioned in the Yerba Buena Center of the Arts in San Francisco, California, Annabeth Robinson (AngryBeth Shortbread) recreated 77 Million Paintings in Second Life. In 2007, Eno's music was featured in a movie adaption of Irvine Welsh's best-selling collection Ecstasy: Three Tales of Chemical Romance. He also appeared playing keyboards in Voila, Belinda Carlisle's solo album sung entirely in French. Also in 2007, Eno contributed a composition titled "Grafton Street" to Dido's third album, Safe Trip Home, released in November 2008. In 2008, he released Everything That Happens Will Happen Today with David Byrne, designed the sound for the video game Spore and wrote a chapter to Sound Unbound: Sampling Digital Music and Culture, edited by Paul D. Miller (a.k.a. DJ Spooky). Eno revealed on radio in May 2009 that a skin graft he received as treatment for a severe burn on his arm was part human skin, part carbon fibre. He explained that as human skin is based on carbon, the experimental treatment was likely going to work out well for him, in spite of the fact that he feels a lightness in the affected arm. In June 2009, Eno curated the Luminous Festival at Sydney Opera House, culminating in his first live appearance in many years. "Pure Scenius" consisted of three live improvised performances on the same day, featuring Eno, Australian improv trio The Necks, Karl Hyde from Underworld, electronic artist Jon Hopkins and guitarist Leo Abrahams. Eno scored the music for Peter Jackson's film adaptation of The Lovely Bones, released in December 2009. Eno released another solo album on Warp Records in late 2010. Small Craft on a Milk Sea, made in association with long-time collaborator Leo Abrahams and Jon Hopkins, was released on 2 November in the United States and 15 November in the UK. The album included five compositions as adaptions of those tracks that Eno wrote for The Lovely Bones. Eno also sang backing vocals on Anna Calvi's debut album on two songs "Desire" and "Suzanne & I". He later released Drums Between the Bells, a collaboration with poet Rick Holland, on 4 July 2011. In November 2012, Eno released Lux, a 76-minute composition in four sections, via Warp Records. 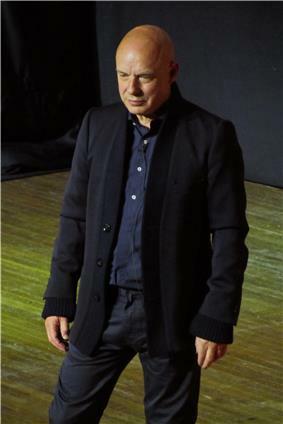 Eno worked with French–Algerian Raï singer Rachid Taha on Taha’s Tékitoi (2004) and Zoom (2013) albums, contributing percussion, bass, brass and vocals. Eno also performed with Taha at the Stop the War concert in London in 2005. In May 2014, Eno and Underworld's Karl Hyde released Someday World, featuring various guest musicians: from Coldplay's Will Champion and Roxy Music's Andy Mackay to newer names such as 22 year old Fred Gibson, who helped produce the record with Eno. Within weeks of the release, a second full length was announce titled 'High Life', to be released 30 June 2014. From the beginning of his solo career in 1973, Eno was in demand as a producer – though his management now describe him as a "sonic landscaper" rather than a producer. The first album with Eno credited as producer was Lucky Leif and the Longships by Robert Calvert. Eno's lengthy string of producer credits includes albums for Talking Heads, U2, Devo, Ultravox and James. He also produced part of the 1993 album When I Was a Boy by Jane Siberry. He won the best producer award at the 1994 and 1996 BRIT Awards. Eno describes himself as a "non-musician" and coined the term "treatments" to describe his modification of the sound of musical instruments, and to separate his role from that of the traditional instrumentalist. His skill at using "The Studio as a Compositional Tool" (the title of an essay by Eno) led in part to his career as a producer. His methods were recognised at the time (mid-1970s) as unique, so much so that on Genesis's The Lamb Lies Down on Broadway, he is credited with 'Enossification'; on Robert Wyatt's Ruth Is Stranger Than Richard with a Direct inject anti-jazz raygun and on John Cale's Island albums as simply being "Eno". Despite being a self-professed "non-musician", Eno has contributed to recordings by artists as varied as Nico, Robert Calvert, Genesis, David Bowie, and Zvuki Mu, in various capacities such as use of his studio/synthesiser/electronic treatments, vocals, guitar, bass guitar, and as just being 'Eno'. In 1984, he (along with several other authors) composed and performed the "Prophecy Theme" for the David Lynch film Dune; the rest of the soundtrack was composed and performed by the group Toto. Eno produced performance artist Laurie Anderson's Bright Red album, and also composed for it. The work is avant-garde spoken word with haunting and magnifying sounds. Eno played on David Byrne's musical score for The Catherine Wheel, a project commissioned by Twyla Tharp to accompany her Broadway dance project of the same name. He worked with David Bowie as a writer and musician on Bowie's influential 1977–79 'Berlin Trilogy' of albums, Low, "Heroes" and Lodger, on Bowie's later album Outside, and on the song "I'm Afraid of Americans". In 1980 Eno developed an interest in altered guitar tunings, which led to Guitarchitecture discussions with Chuck Hammer, former Lou Reed guitarist. A new collaboration between David Byrne and Brian Eno titled Everything That Happens Will Happen Today was released digitally on 18 August 2008, with the enhanced CD released in October. Eno co-produced The Joshua Tree (1987), Achtung Baby (1991), and All That You Can't Leave Behind (2000) for U2 with his frequent collaborator Daniel Lanois, and produced 1993's Zooropa with Mark "Flood" Ellis. In 1995, U2 and Eno joined forces to create the album Original Soundtracks 1 under the group name Passengers; songs from OST1 included "Your Blue Room" and "Miss Sarajevo". When the album was released, the US charts were dominated by movie soundtrack albums and singles. Even though films are listed for each song, all but three are bogus. Once Eno pointed out that it was not a real ploy for radio airplay, but a spoof of one, U2 agreed to the concept. Eno also produced Laid (1993), Wah Wah (1994) Millionaires (1999) and Pleased to Meet You (2001) for James, performing as an extra musician on all four. He is credited for "frequent interference and occasional co-production" on their 1997 album Whiplash. Eno played on the 1986 album Measure for Measure by Australian band Icehouse. He remixed two tracks for Depeche Mode, "I Feel You" and "In Your Room", both single releases from the album Songs of Faith and Devotion in 1993. In 1995, Eno provided one of several remixes of "Protection" by Massive Attack (originally from their Protection album) for release as a single. The single also included more remixes by DJs J-Swift, Tom D, and Underdog. In 2007, he produced the fourth studio album by Coldplay entitled Viva la Vida or Death and All His Friends, which was released in 2008. Also in 2008, he worked with Grace Jones on her album Hurricane, credited for "production consultation" and as a member of the band, playing keyboards, treatments and background vocals. He worked on the twelfth studio album by U2, again with Lanois, titled No Line on the Horizon. It was recorded in Morocco, South France and Dublin and released in Europe on 27 February 2009. In 2011, Eno and Coldplay reunited and Eno contributed "enoxification" and additional composition on Coldplay's fifth studio album Mylo Xyloto, released on 24 October of that year. The idea came up at the time when I was completely bereft of ideas. I'd been working on my own music for a while and was quite lost, actually. And I really appreciated someone coming along and saying, "Here's a specific problem – solve it." The thing from the agency said, "We want a piece of music that is inspiring, universal, blah-blah, da-da-da, optimistic, futuristic, sentimental, emotional," this whole list of adjectives, and then at the bottom it said "and it must be 31/4 seconds long. "[† 1] I thought this was so funny and an amazing thought to actually try to make a little piece of music. It's like making a tiny little jewel. In fact, I made eighty-four pieces. I got completely into this world of tiny, tiny little pieces of music. I was so sensitive to microseconds at the end of this that it really broke a logjam in my own work. Then when I'd finished that and I went back to working with pieces that were like three minutes long, it seemed like oceans of time. Eno shed further light on the composition of the sound on the BBC Radio 4 show The Museum of Curiosity, admitting that he created it using a Macintosh computer, and stating "I wrote it on a Mac. I've never used a PC in my life; I don't like them." "One afternoon while I was working in the studio with Talking Heads, the roadie from Foreigner, working in an adjacent studio, came in and asked whether anyone wanted to buy some video equipment. I'd never really thought much about video, and found most 'video art' completely unmemorable, but the prospect of actually owning a video camera was at that time quite exotic." "I was delighted to find this other way of using video because at last here's video which draws from another source, which is painting… I call them 'video paintings' because if you say to people 'I make videos', they think of Sting's new rock video or some really boring, grimy 'Video Art'. It's just a way of saying, 'I make videos that don't move very fast." These works presented Eno with the opportunity to expand his ambient aesthetic into a visual form, manipulating the medium of video to produce something not present in the normal television experience. His video works were shown around the world in exhibitions in New York and Tokyo, as well as released on the compilation 14 Video Paintings in 2005. Eno continued his video experimentation through the 80s, 90s and 2000s, leading to further experimentation with the television as a malleable light source and onto his generative works such as 77 Million Paintings in 2006. In 1996, he collaborated in developing the SSEYO Koan generative music system (by Pete Cole and Tim Cole of intermorphic) that he used in composing the hybrid music in the album Generative Music 1. Eno started the Obscure Records label in Britain in 1975 to release works by lesser-known composers. The first group of three releases included his own composition, Discreet Music, and the now-famous The Sinking of the Titanic (1969) and Jesus' Blood Never Failed Me Yet (1971) by Gavin Bryars. The second side of Discreet Music consisted of several versions of Pachelbel's Canon, the composition which Eno had previously chosen to precede Roxy Music's appearances on stage, to which various algorithmic transformations have been applied, rendering it almost unrecognisable. Side 1 consisted of a tape loop system for generating music from relatively sparse input. These tapes had previously been used as backgrounds in some of his collaborations with Fripp, most notably on Evening Star. Only 10 albums were released on Obscure, including works by John Adams, Michael Nyman, and John Cage. At this time he was also affiliating with artists in the Fluxus movement. Eno has also been active in other artistic fields. In March 2008 Eno collaborated with the Italian artist Mimmo Paladino on a show of the latter's works with Eno's soundscapes at Ara Pacis in Rome. In 2008, Eno designed the procedurally-generated music for the video game Spore. In October 2008, Eno collaborated with Peter Chilvers to create an application titled Bloom, Trope, and Air for the iOS platform. In 2013, Brian Eno made a number of limited edition prints featuring the artwork from his 2012 album Lux available only from his website. 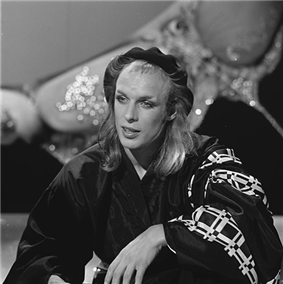 Eno appeared as Father Brian Eno at the "It's Great Being a Priest!" convention, in "Going to America", the final episode of the television sitcom Father Ted, which originally aired on 1 May 1998 on Channel 4. Eno is frequently referred to as one of popular music's most influential artists. Critic Jason Ankeny at Allmusic argues that Eno "forever altered the ways in which music is approached, composed, performed, and perceived, and everything from punk to techno to new age bears his unmistakable influence." He has spread his techniques and theories primarily through his production; his distinctive style affected a number of projects he's been involved in, including Bowie's Berlin Trilogy (helping to popularise minimalism) and the albums he produced for Talking Heads (incorporating African music and polyrhythms on Eno's advice), Devo, and other groups. Eno's first collaboration with David Byrne, 1981's My Life in the Bush of Ghosts, pioneered sampling techniques that would prove to be influential in hip-hop, and broke ground by incorporating world music. Eno and Peter Schmidt's Oblique Strategies have been utilised by many bands, and Eno's production style has proven influential in several general respects: "his recording techniques have helped change the way that modern musicians – particularly electronic musicians – view the studio. No longer is it just a passive medium through which they communicate their ideas but itself a new instrument with seemingly endless possibilities." While not the only inventor of ambient music, Eno is seen as a major contributor to the genre. The Ambient Music Guide argues that he has brought from "relative obscurity into the popular consciousness" fundamental ideas about ambient music, including "the idea of modern music as subtle atmosphere, as chill-out, as impressionistic, as something that creates space for quiet reflection or relaxation." His groundbreaking work in electronic music has been said to have brought widespread attention to and innovations in the role of electronic technology in recording. "I've often eulogised Eno's musical abilities," remarked Rick Wright of Pink Floyd, "but alongside his talent he's also a very nice guy. Sickening, isn't it?" In 2001 Half Man Half Biscuit released an EP entitled "Eno Collaboration", which contains a track of the same name. MGMT wrote a song about Eno, called "Brian Eno", for their 2010 album Congratulations. The band LCD Soundsystem has frequently cited Eno as a key influence on their own sound and music. In 2011 Belgian academics from the Royal Museum for Central Africa named a species of Afrotropical spider Pseudocorinna brianeno in his honour. Brian Eno refers to himself as an "Evangelical Atheist". In 1996, Eno and others started the Long Now Foundation to educate the public about the very long-term future of society. He is also a columnist for the British newspaper The Observer. The Nokia 8800 Sirocco Edition mobile phone features exclusive music composed by Eno. Between 8 January 2007 and 12 February 2007, ten units of Nokia 8800 Sirocco Brian Eno Signature Edition mobile phones, individually numbered and engraved with Eno's signature were auctioned off. All proceeds went to two charities chosen by Eno: the Keiskamma Aids Treatment program and The World Land Trust. In 2006, Eno was one of more than 100 artists and writers who signed an open letter calling for an international boycott of Israeli political and cultural institutions. In December 2007, the newly elected Leader of Liberal Democrats, Nick Clegg, appointed Eno as his youth affairs adviser. In January 2009, Eno spoke out against Israel's military action on the Gaza Strip by writing an opinion for CounterPunch and participating in a large-scale protest in London. In 2014, Eno again protested publicly against what he called a "one-sided exercise in ethnic cleansing" and a "war [with] no moral justification," in reference to the 2014 military operation of Israel into Gaza. He was also a co-signatory, along with Archbishop Desmond Tutu, Noam Chomsky, Alice Walker and others, to a letter published in The Guardian that labelled the conflict as an "inhumane and illegal act of military aggression" and called for "a comprehensive and legally binding military embargo on Israel, similar to that imposed on South Africa during apartheid." In 2013, Eno became a patron of Videre Est Credere (Latin for "to see is to believe") a UK Human Rights Charity. Videre describes itself as "give[ing] local activists the equipment, training and support needed to safely capture compelling video evidence of human rights violations. This captured footage is verified, analysed and then distributed to those who can create change." He participates alongside movie producers Uri Fruchtmann and Terry Gilliam – along with Executive Director of Greenpeace UK John Sauven. Ambient 4: On Land (1982), E.G. Apollo: Atmospheres and Soundtracks (1983), E.G. More Music for Films (1983), E.G. ^ The eventual length of The Microsoft Sound as supplied and used was roughly 6 seconds, not 31/4. ^ Tannenbaum, Rob (27 August 2002). "Steadfast in Style". 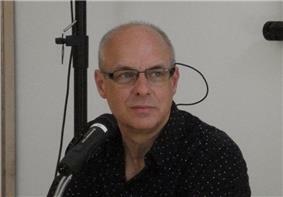 ^ "Brian Eno one of 12 new Royal Designers for Industry". RSA. Retrieved 20 November 2012. ^ Andrew Marantz (31 December 2012). "Finding Eno". Culture. Mother Jones. Retrieved 5 January 2013. Because short, vowel-heavy nouns are in finite supply, the makers of crossword puzzles resort to familiar [names, [but m]ost of these people are known for exactly one thing.... [ENO] is an exception to the rule. ^ AllMusic, Explore Music, "Ambient"
^ Pete Townshend (8 October 2012). Who I Am. HarperCollins. p. 100. ^ David Sheppard (1 May 2009). On Some Faraway Beach: The Life and Times of Brian Eno. Chicago Review Press. p. 27. ^ "Malcom Le Grice Installation". Wkv-stuttgart.de. Retrieved 22 July 2010. ^ "Eno Left Roxy Music to do His Laundry". Contactmusic.com. Retrieved 22 July 2010. ^ Prendergast, Mark (2001). The Ambient Century: From Mahler to Trance: The Evolution of Sound in the Electronic Age. Bloomsbury Publishing. pp. p118. ^ Thompson, Dave. "All Music review". Allmusic.com. Retrieved 22 July 2010. ^ "The Birth of Loop". Loopers-delight.com. 13 October 1996. Retrieved 22 July 2010. ^ 'Ambient 4: On Land'' 1986 release notes"'". Music.hyperreal.org. Retrieved 22 July 2010. ^ Dahlen, Chris (17 July 2006). "Interview: David Byrne". ^ Author, Unknown. "77-million-paintings-brian-eno". 77 Million Paintings. The Long Now Foundation. Retrieved 1 November 2011. ^ Aizlewood, John. "In The Studio". Q Magazine. October 2007. ^ "Interview with Sydney University Radio Group, 18 May 2009". News.surgfm.org. Retrieved 22 July 2010. ^ "Brian Eno: The Lovely Bones". ^ "Pitchfork: Source: Brian Eno Reveals Warp Album Details". Pitchfork.com. Retrieved 23 August 2010. ^ "Brian Eno: Improvising Within The Rules". ^ Troussé, Stephen (December 2010). "The Doctor Will See You Now..". ^ "Desire by Anna Calvi Songfacts". Songfacts.com. Retrieved 25 March 2012. ^ "Drums Between The Bells & Panic of Looking". Brian Eno. Retrieved 25 March 2012. ^ Carrie Battanon (26 September 2012). "Brian Eno Plans Solo Record for November". pitchfork. ^ feat. Mick Jones & Brian Eno - live at Stop the War concert"Rock El Casbah"Rachid Taha - . YouTube. 27 November 2005. Retrieved 8 November 2014. ^ "Brian Eno and Karl Hyde – Someday World: exclusive album stream". Guardian.com. 29 April 2014. ^ Henry, Dusty. ""Brian Eno and Karl Hyde announce new album, High Life, stream "DBF""". Retrieved 30 May 2014. ^ "Pro Session – The Studio as Compositional Tool". Music.hyperreal.org. Retrieved 22 July 2010. ^ Rohrlich, Justin (25 May 2010). "Who Created The Windows Start-Up Sound?". ^ Adam Bunker, Technology Journalist (23 November 2011). "Brian Eno spills Windows start-up sound secrets". Electricpig. Retrieved 23 November 2011. ^ Eno, Brian (2006). 77 Million Paintings "My Light Years". pp. 2. ^ Eno, Brian (2006). "My Light Years". pp. 2. ^ "NME: Proxy Music". Music.hyperreal.org. 9 November 1985. Retrieved 14 November 2012. ^ Eno, Brian (2006). "My Light Years". pp. 5. ^ Eno, Brian (2006). "My Light Years". pp. 6–8. ^ "GameSpy: Spore – Page 2". Pc.gamespy.com. Retrieved 22 July 2010. ^ "Eno and Chilvers Release Sweet Music App for iPhone | Listening Post". Blog.wired.com. 9 October 2008. Retrieved 22 July 2010. ^ Higgins, Charlotte (27 November 2009). "Brian Eno to curate Brighton festival". The Guardian (London). Retrieved 26 April 2010. ^ Dessau, Bruce (2010-05-13). "Laugh Lines: from Sergeant Bilko to Father Ted". ^ Musician Guide, "Brian Eno Biography"
^ a b Ambient Music Guide, "Brian Eno"
^ a b Richardson, Mark. "Pitchfork: Interviews: Brian Eno". Pitchfork Media. pitchfork.com. 1 November 2010. Retrieved 9 November 2010. ^ Rudy Jocque & Jan Bosselaers, "Revision of Pseudocorinna Simon and a new related genus (Araneae: Corinnidae): two more examples of spider templates with a large range of complexity in the genitalia"
^ "Brian Eno-Constellations(77 Million Paintings)interview pt 2". BBC Collective. Retrieved 4 January 2013. ^ Eno, Brian. "The Big Here and Long Now". Retrieved 11 May 2009. How could you live so blind to your surroundings? ... I called it "The Small Here" ... I was used to living in a bigger Here ... I noticed that this very local attitude to space in New York paralleled a similarly limited attitude to time ... I came to think of this as "The Short Now", and this suggested the possibility of its opposite – "The Long Now". ^ Nokia Press Release (4 September 2006). "Winds of change"
^ Nokia Press Release (20 December 2006). "Nokia and Brian Eno pair up for two great causes" ; "Nokia 8800 Sirocco Brian Eno Signature Edition Charity Auction"
^ 'Stealing Gaza: An Experiment in Provocation'': article by Brian Eno at CounterPunch"'". Counterpunch.org. Retrieved 22 July 2010. Eno, Brian. "Oblique Strategies (from the Norton Family Christmas Project)". New Mexico Museum of Art. Retrieved 28 April 2014. Frere-Jones, Sasha. "Ambient Genius: The working life of Brian Eno.". The New Yorker, July 7, 2014. "The Thrill of It All"
"Take a Chance with Me"